Canon has just released a firmware update Version 1.2.5 for the 7D. Spring seems to be in the air. The azaleas are blooming and the maple leaves are emerging. With the slight rain last night the ornamental maple looked gorgeous this morning. This is a stacked macro of a set of leaves unfurling. Nikon has released a firmware update for the D7000 that fixes a noise reduction issue and other known bugs. 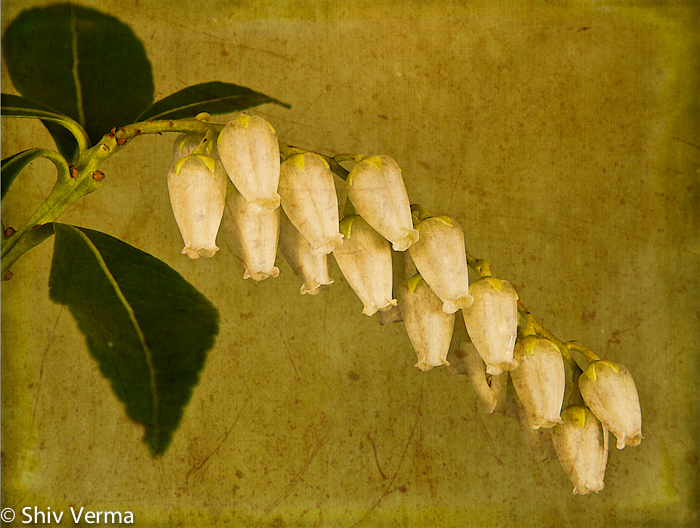 Have been shooting images for my presentation and workshop in July. This andromeda looked ideal for some texture. So here it is. Canon 7D, 100 mm Macro with a 1.4x teleconverter and two full sets of extension tubes for a total of 136mm extension. 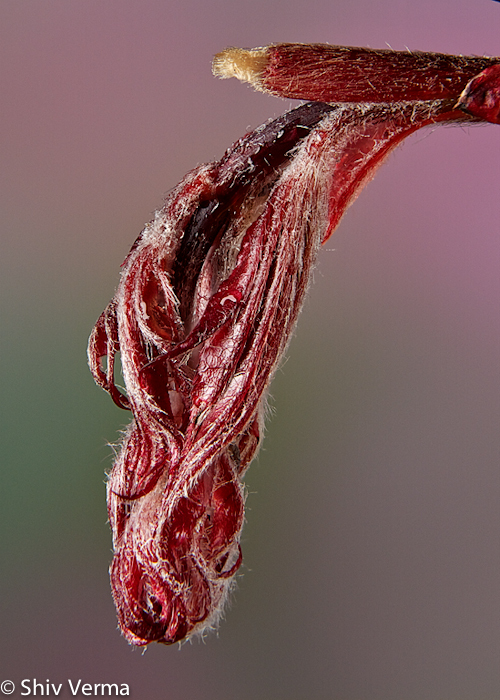 This is an image of one of the anthers of the maple flower from the image posted yesterday. Macro done well can be so much fun. Mirror lock up and twenty five images at f2.8 stacked using Helicon Focus. Exposure triad: ISO 100, f5.6. 1/3 sec. 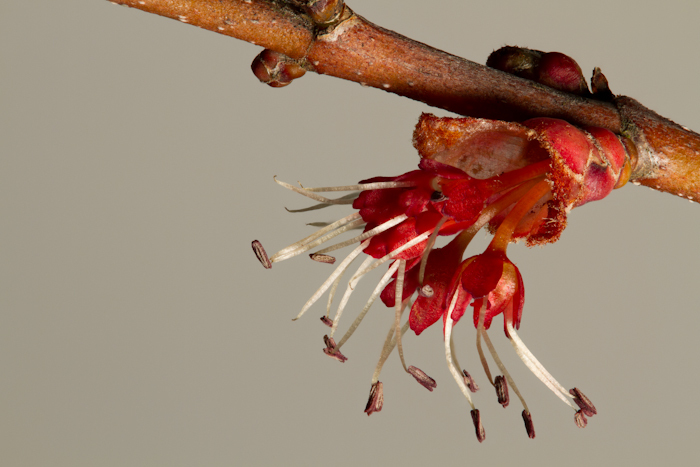 Macro experiments – this is a 20 image stack of this maple flower. Used Helicon Focus to do the stack. 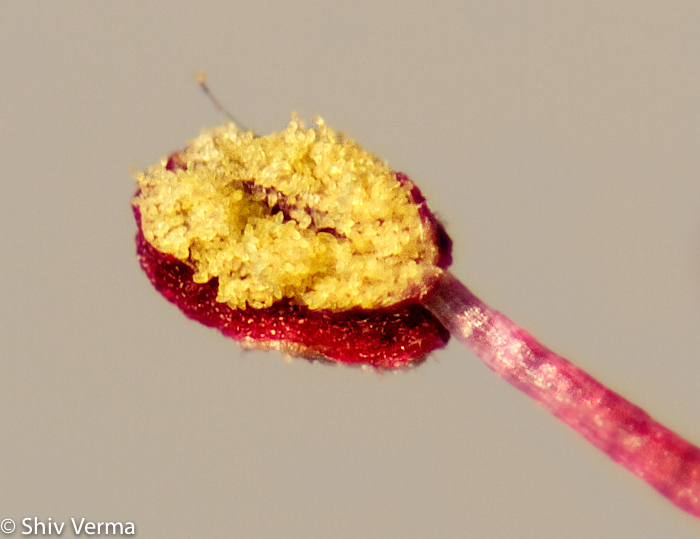 The depth (front to back of the image) is 7/16 inch while the flower is about 1/4 inch. The magnification is approximately 1.6X. The image has absolutely no post processing or sharpening applied. While walking through the woods in my back yard I spotted this beech tree with just a few leaves that had not shed last fall. (We have a number of beech trees that did not shed.) 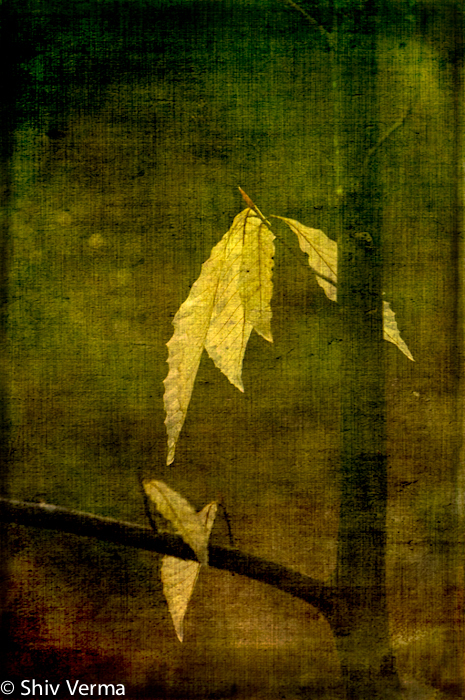 Noticing the backlit leaves I captured this and then in post added texture and edge treatment using layers and blends. I found the simplicity captivating. Exposure triad: ISO 3200, F8, 1/640 sec. 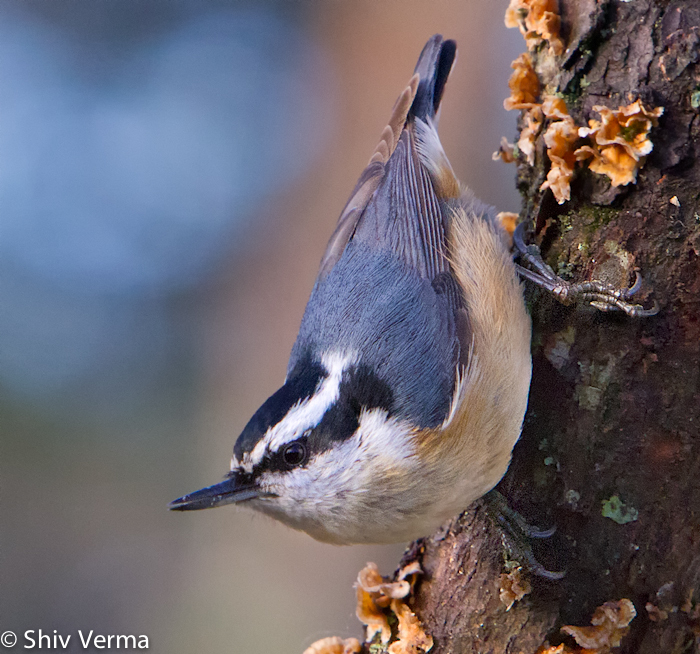 Walked out this dull overcast dreary morning on my deck to see this nuthatch. Liked the pose and the slightly open beak. This is the first year we are getting the Red Breasted Nuthatch in our back yard. Having shot this at ISO 3200 I used Nik Define 2.0 to clean up the background. 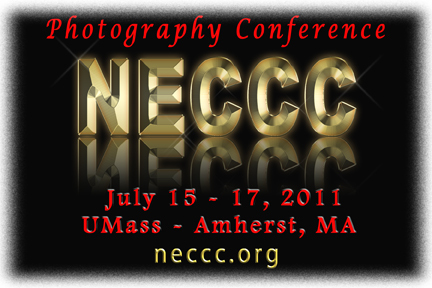 The New England Camera Club Council will be holding its annual conference this July from Friday the 15 through the 17th. It is one of the finest photography events with a typical attendance of nearly 1,500 photographers from all over the world. 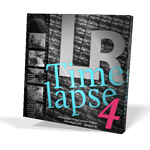 From photo opportunities, to showcase presentations and a whole slew of educational programs. An event worth every penny. I will be doing a portfolio review on Friday morning and then two programs during the conference. One on macro photography and one on flower photography. I look forward to seeing you all there.